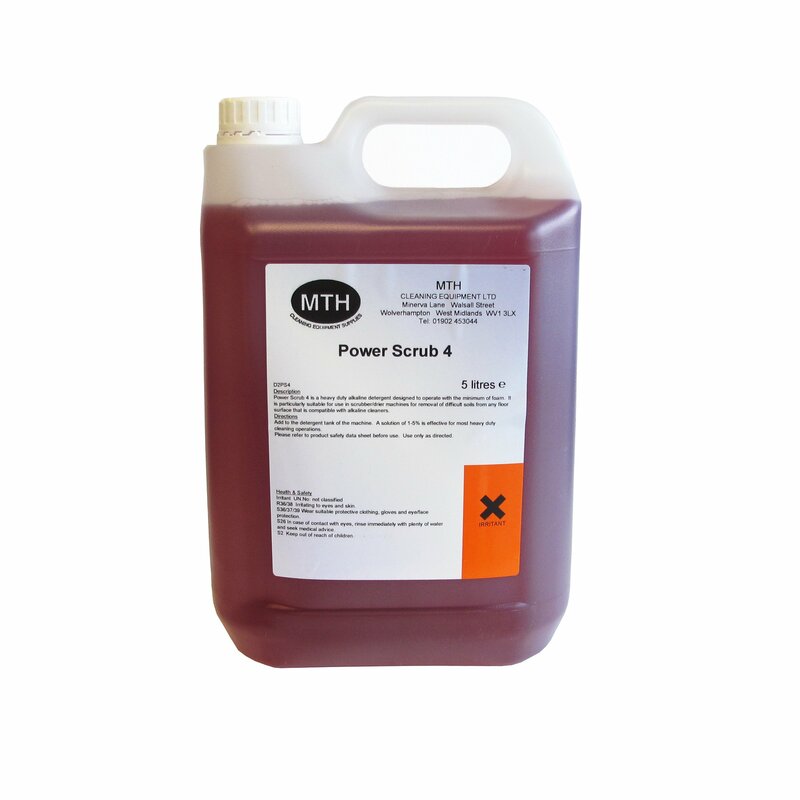 Power Scrub 4 is a heavy duty alkaline cleaning detergent designed to operate with the minimum of foam. It is a concentrated cleaning deterent which can be used with or without the use of a scrubber dryer for the removal of difficult soils such as oil and grease from any hard floor surface which is compatible with alkaline cleaners. A soluiton of 1:5 is effective for most heavy duty cleaning operations. If using with a scrubber dryer machine just add the detergent to the tank of the machine.